Always love Taleb. 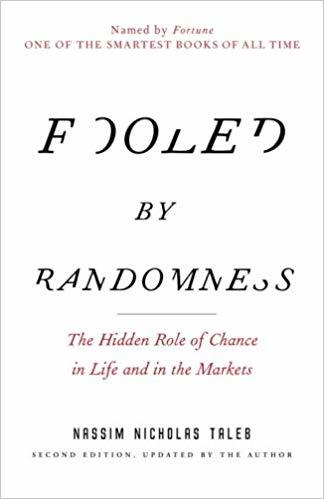 I found this book less practical than Antifragile, but it lays a conceptual groundwork for Black Swan and Antifragile to “warm you up” for his next books. “Notice how our brain sometimes gets the arrow of causality backward. Assume that good qualities cause success; based on that assumption, even though it seems intuitively correct to think so, the fact that every intelligent, hardworking, persevering person becomes successful does not imply that every successful person is necessarily an intelligent, hardworking, persevering person (it is remarkable how such a primitive logical fallacy— affirming the consequent— can be made by otherwise very intelligent people, a point I discuss in this edition as the “two systems of reasoning” problem).